Microsoft DigiGirlz Introduces Young Women To Careers in IT. 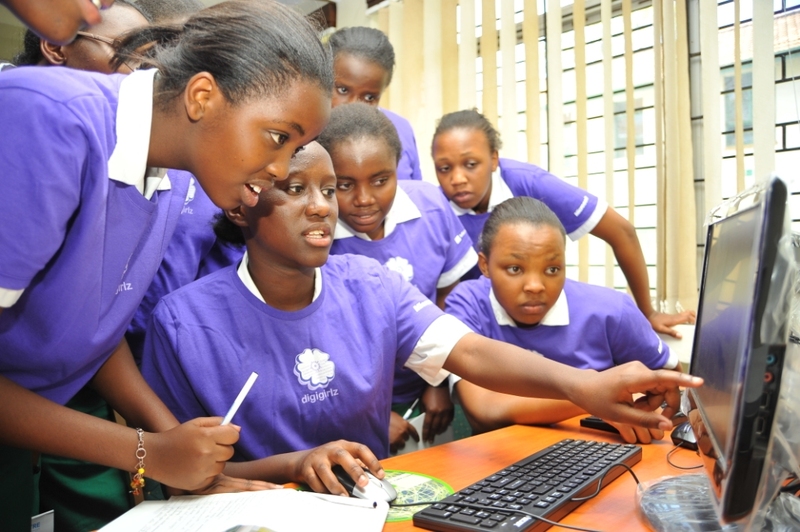 The 2014 Microsoft DigiGirlz day was attended by nearly 120 young women from high schools in Nairobi County. The event was co-hosted with Intel under the theme “shaping the future for Digigirlz”. Attendants were taken through topics in business and ICT and the latest innovations in technology as well as opportunities in the sector. DigiGirlz is a Global Microsoft Youth Spark Program which gives high school girls the opportunity to learn about careers in technology, connect with women industry leaders in ICT as well as participate in hands on computer and technology workshops. Since the program began in 2000, close to 19,000 students have participated in the Microsoft DigiGirlz Technology workshops and product demonstrations. “Most of our girl students shy away from sciences and IT with the notion that these are hard and a reserve for boys. We have been trying to encourage them to take these up and dispelling the myth that any of the sexes is brighter than the other. We are happy that ladies in Microsoft are here to show ladies can play an active role in ICT and to encourage and nurture our students,” Said Amos Nduyoh, Deputy Principal St Martin Girls Secondary School. “Events such as DigiGirlz help demystify the industry by profiling successful Kenyan women in IT. Relevant role models are essential in creating an interest in the IT field and helping young women visualise a career in IT,” said Agatha Gikunda, Software and Sales Lead, Intel East Africa. “However, an interest in IT does not only prepare women for a career but also empowers them with ability to leverage technology in their daily lives to access information and convert it into knowledge,” she added.